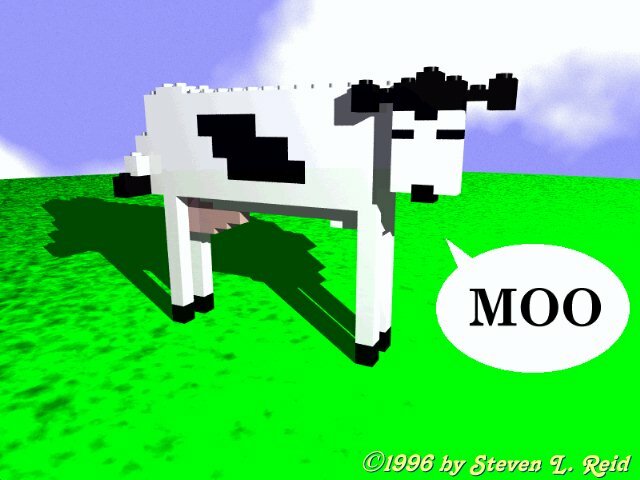 This is a “sort-of” recreation of the original cow image with the “Moo!” bubble. 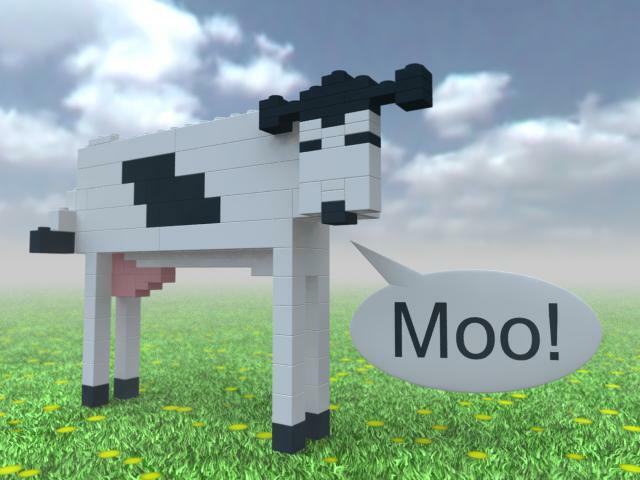 Unlike the original, this is a true brick cow and I’ve tried to make it more “realistic” then the original “flat” and shiny version. I had added the bubble with Paint Shop Pro on the first version. This time, I’m using CSG to do the same thing all in POV-Ray. Enjoy!